Following my new year’s message to all of you, I received many responses from colleagues, expressing concerns regarding the state of the organisation in view of the current challenging environment. I’d like to thank each and every one of you for your thoughts, and invite you to keep on sharing your feedback. I appreciate your concerns, and assure you that we are doing all we can to steer the company through these tough times. I may not be able to respond to every one of you personally, but I would like to take this time to address a general concern that I have noticed among us with regards to job security. Friends, colleagues, the reality of the situation is in the numbers. Brent closed at USD 28 dollars per barrel on Friday, and continues to slide. There are still no signs of recovery. 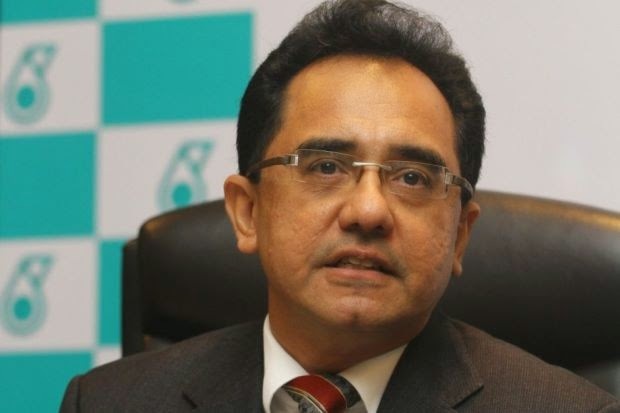 PETRONAS reacted quickly at the first signs of trouble, cutting CAPEX and OPEX, and kicking-off Project Cactus to urgently expedite cash generation and cost efficiency initiatives among other focus areas. But, we have come to the point where these actions are not enough to counter the impact brought on by rapidly declining oil prices. This doesn’t mean that we stop pushing Project Cactus, but it means we need to now seriously consider some difficult and drastic decisions. This is something that occupies me and my Executive Leadership Team intensively at this time. Moving ahead, we will go through another round of CAPEX and OPEX review, to target cuts up to RM50 billion over the next four years. This means that we are going to have to defer some of our projects. We have also made a strategic decision to begin a review of PETRONAS’ business operating model for better efficiency in response to the external environment. This review will result in a change to our existing organisation structure, the details of which I hope to be able to share with you in March. At this time, we have yet to determine how the review and structure change will affect our workforce; but rest assured that we will be studying all possible options to ensure that we strike the right balance between the welfare of our employees and the best interest of the business. In the meantime, we have started a review of contract positions, which is expected to affect contract positions currently not critical to PETRONAS’ core business activities. Concurrently, reviews of positions filled by our Manpower Supply Contractors are also underway, as an initial step in reducing manpower costs. Friends, colleagues. At a time like this, I know that there are a lot of questions – and anxiety. I cannot in good conscience give you assurance that everything will be fine, but you have my commitment that my leadership team and I will keep you informed of these developments on an ongoing basis. I believe that honest, open communication is key to keep us united as a team and trudging forward together. For now, I sincerely ask for your understanding, cooperation and support in this difficult time. We need to keep on going, keep on striving. There is still much to fight for, and as long as we don’t stop, we will move forward.